The 3rd and Final segment of Armchair Quarterbacking on FNH. Part 1, I went through the pistols. Part 2 was Shotguns, and now we’re on the Rifles. 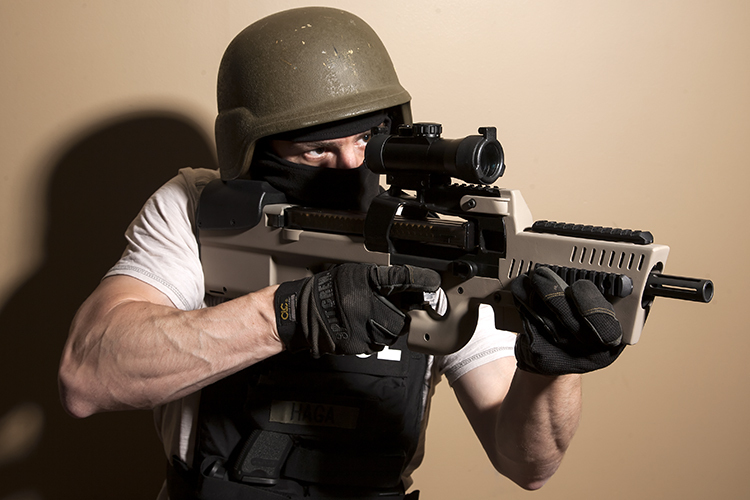 I will not AQ on the Less Lethal, Machine Guns, and other things FNH produces, because they are not the normal fodder for the American Gun Owner. Out of the 3 variants of the SPR, only one has a threaded barrel with a thread protector. Each variant of SPR should have a TB as standard fare. More rifles need to be Suppressor Friendly as Suppressors are becoming more common and ever more popular. Or just for the easy addition of any number of muzzle devices. Use a common threading profile and you’ll be golden. This might add a few bucks to each gun, but it’s worth it. All SPR rifles are simply .308 Bolt Action rifles… but none of them are simple rifles. You have a variety of 3 different SPR’s, but pretty much they all look the same. The A5M does have a Fluted TB Barrel and a detachable box magazine, but honestly, its still not distinctive. Where’s a version with a wood stock? A nice simple laminated wood stock would go a long way. And would it be a bad thing to offer some Iron Sights on that wood stocked version? As a Dealer, rifles with Iron Sights are still popular. The Ruger Gunsight Scout is an example. The new Canadian C-19 is another. Some people still like that. I’m one of those people. Now let’s talk caliber. .308 is a solid option but a lot of guys, especially out west, are looking at 6.5 Creedmore rifles for precision long range shooting. Which means they are not looking at FNH rifles. Yeah, I know it’s FN’s version of the Browning BAR, so I get the naming convention you are using… but behind the Gun Counter, we’ve got customers that look at that and pronounce it like a “Funaarrhh”. Sounds like a dinner special in a Fantasy Cafe. Roast Fnar Sandwiches on special! This is just not good. A name is important. The FNAR is an outstanding rifle… and 4 years ago or so, I got to spend some time behind the trigger on one. Running from 100 to 1000 yards with the FNAR was a lot of fun. But now you only offer the Competition version. In your new Pro Shop, I saw several… and the FNAR is just as good as I remember them to be. But it has a wart on it’s nose. Why does it need a rail section out on the muzzle? It doesn’t. Anything you hang on it would just alter the barrel harmonics… so don’t. Don’t put anything on the muzzle. I understand you want to make it different from a Browning BAR, I get that. So how about a pair of Sling Swivel Studs like you put on the SPR rifles? And how about we throw a TB on there as well, for good measure. I think those two features would be more well received than a rail section, and still keep the FNAR distinct from a BAR. Was there any thought to a FNAR Magnum? Say, a .300 Win Mag version that sported maybe a nice muzzle brake? Or a .300 WSM version? Magnums are becoming popular with the longer range crowds. Speaking of Magnums… an SPR Magnum would go a long way. (No, I’m not talking about the Ballista here… not yet. I’m talking about a more traditional rifle type, not a chassis type rifle. 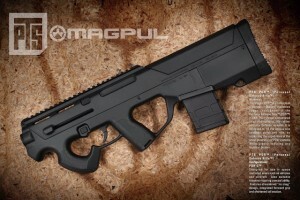 Savage has built a nice rep for long range shooting with their magnum tactical styled rifles. Where is FNH on this? Nowhere? Why not? Seriously. FNH is losing ground here. You have a nice little section of .308’s but everyone building rifles are building .308’s and many of them are using the same stocks or similar. You really need to set these guns apart instead of being a Me Too Maker here. Okay, now I’m talking about the Ballista. Actually, no, I’m not. Because I’ve never handled one in person, never shot one, so I’m not going to remark on it. But it looks freaking awesome and over the top. I love that. I want one. I’ll take mine in .300 Win Mag. Thanks. Okay, you have a lot of great AR rifles here and the DMR edition gives me AR-Lust. Which is something I’ve not felt in a very long time. I don’t have much to say on these, other than you guys are missing a few popular configurations. You have no SBR’s and no PDW versions. There’s no FN Honey Badgers. Or just an SBR Upper that people could order from you after getting their SBR Paperwork approved. I know it’s not a huge market, but it’s there and the guys buying SBR’s might want an option with Cold Hammer Forged Quality. And maybe I missed it, but no .300 Blackout? I’d also like to a version of an FN15 that has the free floating hand guards going out to the barrel threads. They are perfect and beautiful. I’ve nothing to suggest on them… Okay, well… just one thing though… Where’s an OD Green version? Black and Tan is great for Cities and Deserts… But what about the woods around South Carolina? Awful green around here. And around other potential conflict zones. OD Green will one day be the new Desert Tan. Think about it. I’d already have one… if it was in a different caliber. I wish I had a dollar for every time I heard someone at the Gun Counter say “If this was a 9mm, I’d buy two.” Yeah, 9mm would be cool, but it might cause problems with that magazine pattern and short cartridges. Maybe a longer one would work as advertised… like say… 10mm. If there was a “PS10” in 10mm… I kid you not I’d buy 2 for me and 1 for each of my 6 Sons. The only other thing I’d like to see in the PS90’s… No… That’s it. I want a 10mm version. Thanks. Okay, no. That’s not it. Because there is something about the PS90 that irritates me. The really weird grip angles. Yeah, I see what you guys were trying to do, but to be honest – and if you were honest with yourselves, you’d agree with me – the round grips just make the gun awkward and uncomfortable and unnatural to use. Give us a version that has a regular Pistol Grip on it. Like that. But without the bridge between grip and magwell. BTW – Speaking of that. Buy that and Build That. Please SOMEONE DO THAT! Someone that’s not Remington. Back to the PS90… Stretch out the Chasis a bit and put an AFG or VFG on it like a normal PDW. Now, don’t think that this would take away from the unique nature of the gun… Because you would still have that. But for all those guys that have been turned off by the cramped ergos – you would pick up a lot of sales with a more traditional layout on that chassis. Maybe something more like that… but not quite so far out. Delete the bagel forgrip and push a VFG out a few more inches and that would be awesome, especially if that was in 10mm. You could do this and still keep parts compatibility. Same trigger. Just different grips and a bit more space between them. With a civilian 16″ requirement, there’s plenty of room to work with here.